Cheese balls are a Christmas tradition in my husband’s family, one that I have grown to love over the years. I remember one year when we were first together that I forgot the cheese ball. You would have thought that I single-handedly ruined Christmas. Now I know to have at least one cheese ball made for Christmas day, and maybe a few other smaller ones waiting in the fridge, just in case we run out. This year, I wanted to try and make a healthier cheese ball. Instead of waiting to the first of January to start my diet, I started a few weeks ago. I figured if I could somehow lose any weight during the holidays, it would give me enough confidence to really get going in the new year. And I also rationalized that if I failed, I could always just blame it on the holidays like I always do. But, good news, I’ve almost lost 10 lbs, so I want to keep it going through this weekend and next week, so I’m already planning very healthy, low calorie versions of my favorite dishes. The first one, being the cheese ball. 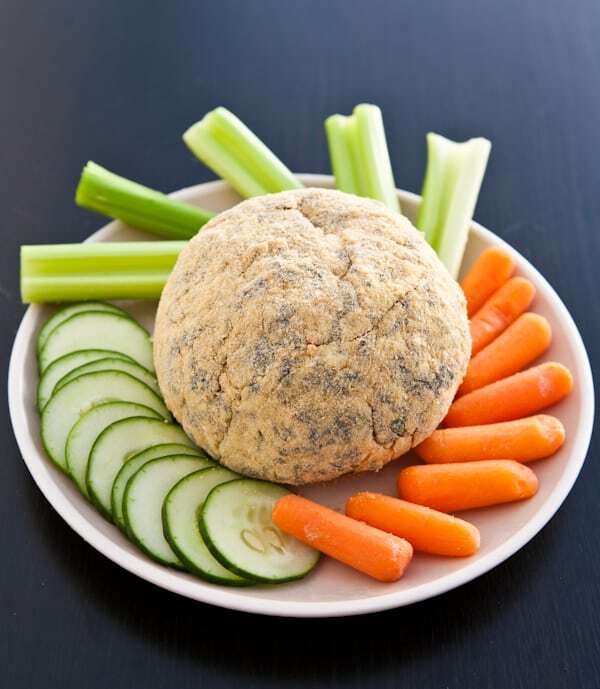 This cheese ball is made with fat free cream cheese, and loads of vegetables. Then instead of serving it with crackers, I’m going to serve it with fresh, crunchy vegetables. 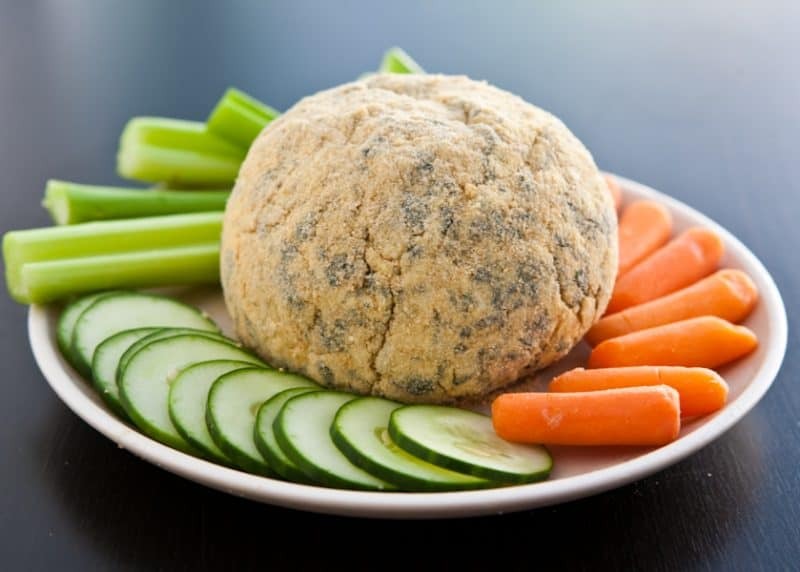 To still get the delicious cracker flavor, I coated the outside of this cheese ball with WASA Crisp ‘n Light Wholesome Wheat Crackerbread pieces that were made into crumbs in the food processor. 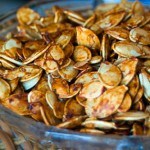 They have a wonderful flavor and aren’t full of fat and calories like some crackers. Visit WASA to find out more about all of their products and stay connected with them on Twitter & Facebook. Add cream cheese and shredded cheese to a large bowl. Add olive oil to a large skillet and add spinach, garlic and artichoke hearts. Saute over medium heat until spinach is wilted and tender, and most of the excess water has evaporated. Let vegetables cool. Add cracker crumbs and Parmesan cheese to a shallow bowl and mix well. When vegetables are cooled, add to cream cheese mixture with salt. Mix with hands until well-incorporated and form into a ball. Place cheese ball into cracker crumb mixture and roll around to coat. Place cheese ball on plate and refrigerate until firm. 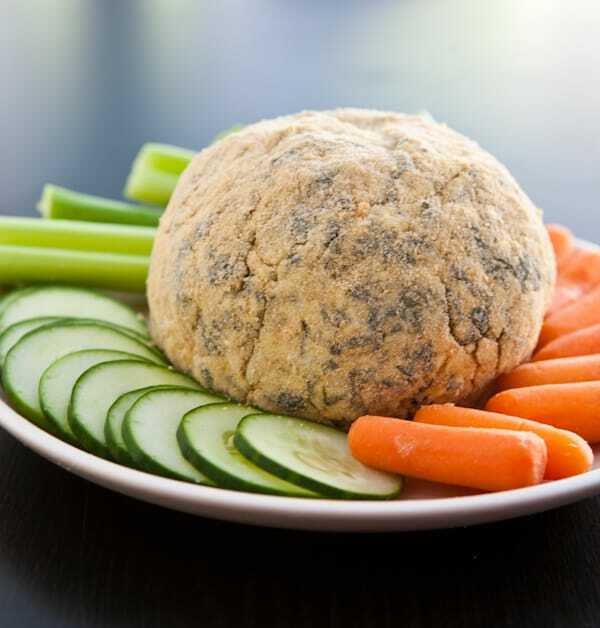 Serve cheese ball with assorted fresh vegetables. This recipe sponsored by Wasa. All opinions 100% mine. That sounds really yummy, Angie. Thanks for sharing! I adore cheese balls! But this is no ordinary one! No matter the occasion, cheeseballs are a must in my family. I love the flavors in this one!